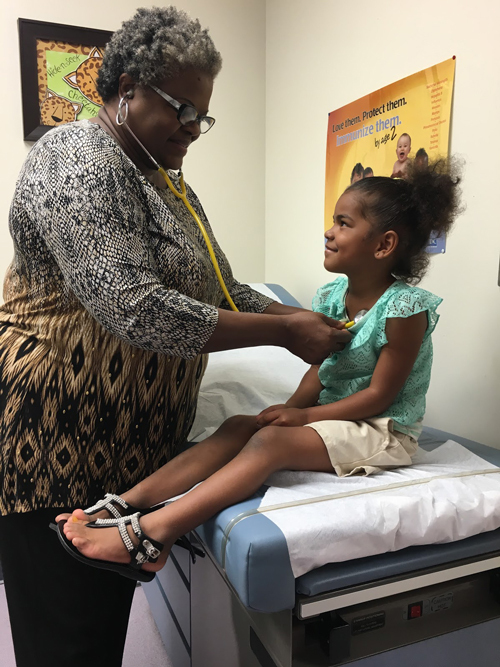 Physical examinations are provided for children, adolescents, and young adults for school purposes. Students entering kindergarten, sixth, and ninth grades at an Illinois public or private school must provide proof of physical examination. Go to the Illinois State Board of Education website to download the form Health Examination and Immunization Forms prior to your appointment. Complete the back page, “Health History” prior to your appointment. The WE CARE Clinic is a Vaccine for Children approved provider. Children ages 0-18 that meet eligibility criteria are able to receive their vaccines at no cost. Vaccines must be given in the clinic. Look at these websites for information about immunizations that are needed throughout the lifetime. Customize Your Child's Immunization Schedule by going to the CDC site. You can easily check to see what vaccines your child should have had so far. If not up to date, call for an appointment or come by any Friday for the speciality Vaccine Clinic. Catch Up Immunization Schedule for Ages 4 to 18 years is used by the WE CARE Clinic to be sure that your child is on track to be protected against diseases. 2016 Binational Immunization Resource Tool (Mexico & US) is a handy way for Mexican parents to know that vaccines your child had in Mexico are the same as for in the U.S. Be sure you bring your vaccination record to the clinic to show when and where your child was vaccinated. Lead testing is available in the clinic daily. Lead poisoning can cause serious problems with physical development and brain function. Call for an appointment or come to the clinic. Phone 618-482-6956. Hearing and Vision Screening can be completed in the clinic and meets requirements for the school and other care centers. Contact the clinic at 618-482-6959. Hemoglobin and anemia screening are available daily. Contact the clinic at 618-482-6959. 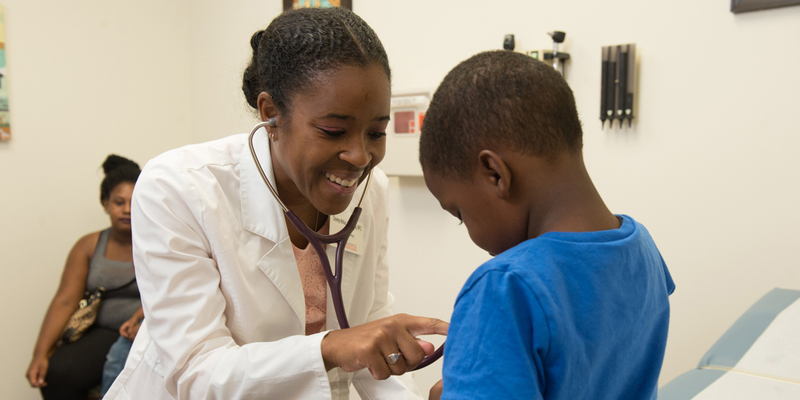 Treatment for children with asthma follows the national recommendations to keep your airways open, breathe freely, and prevent asthma attacks. Resources for learning about asthma are offered and one to one education about asthma is available through a weekly Asthma Clinic available on Mondays and Thursdays. Stop in or call for appointment at 618-482-6959. An Asthma Trigger Assessment Program (ATAP) is offered through the WE CARE Clinic. If you or any of your family or friends have difficulty controlling your asthma, call for help. An expert in asthma and home health will come to your home for free to help you identify potential triggers for asthma problems as well as provide personalized education that will help you stay well. Watch this video to learn about the ATAP home assessment.